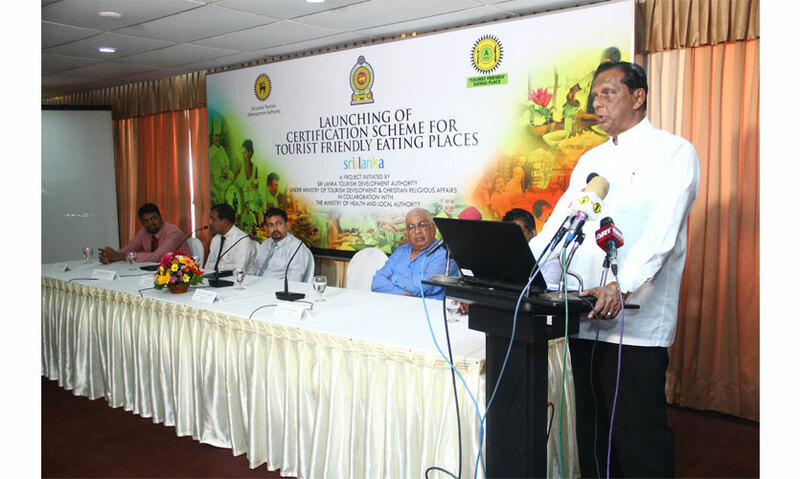 After the successful launch of the ‘Tourist Friendly Eating Places’ campaign in Colombo, the second phase of the Certification scheme initiated by the Sri Lanka Tourism Development Authority (SLTDA) together with Colombo Municipal Council (CMC) and the Ministry of Health commenced in Kandy. 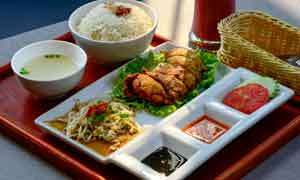 The Certification awards ceremony for the selected 18 eating venues in Kandy was held on 24 July 2017 at Monara Restaurant of Sri Lanka Institute of Tourism and Hotel Management, under the patronage of Hon. Minister of Tourism Development and Christian Religious Affairs, John A.E Amaratunga. 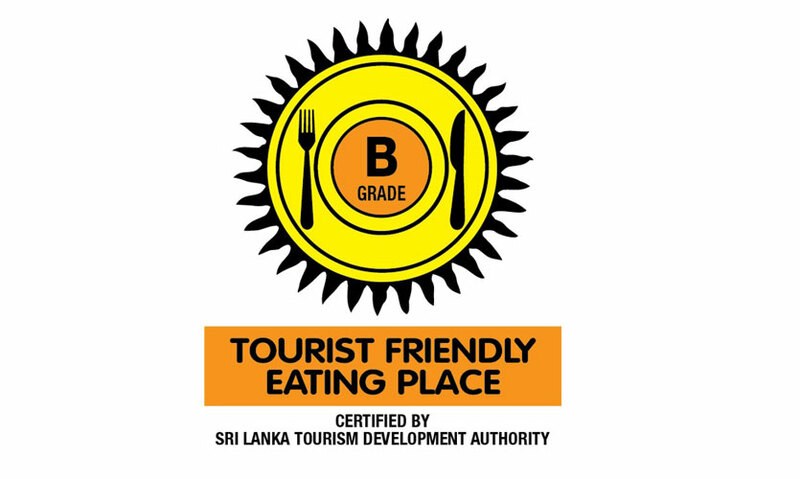 Eating venues in key streets of Kandy such as Temple Street, Dalada Veediya, Deva Veediya including venues located at the Peradeniya Botanical gardens also received certificates with ‘A’ and ‘B’ grading. 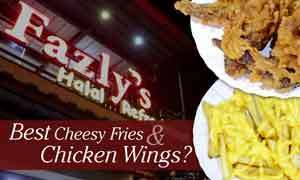 Of the objectives, the project seeks to maintain basic standards (food safety, hygiene and service) of eating venues in tourist zones, raise awareness regarding the necessity of providing standard services in the country in par with international standards and invest in friendly competition among other venues in the industry to obtain the certification. According to Chairman of SLTDA, Mr. Havan D. Ratnayake, more numbers are to be expected with a steady trickle in the arrival of tourists to Sri Lanka yearly. While expansions to implement the project to other tourist destinations are underway, a key feature is to ensure that eating venues which have already received grades are continuing the standards endorsed. Re-inspections may determine whether an eating venue will be downgraded or have their grade cancelled, stated Mr. Malraj Kiriella, Director General of SLTDA. 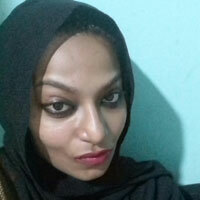 However, he further added, that once they rectify those shortcomings and fulfill requirements, they could also eligible to apply for the certification. 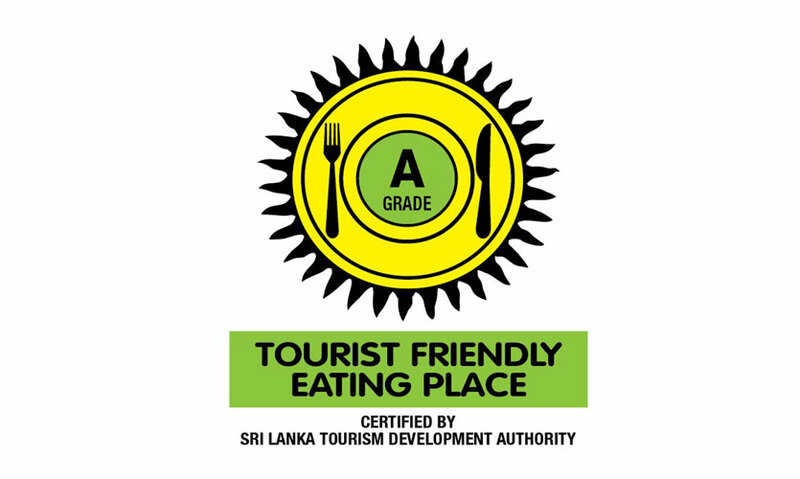 SLTDA is on the process to launch considerable number of tourist friendly eating venues in Colombo suburbs in parallel to the World Tourism Day Celebrations on 27th September, 2017 , stated SLTDA by a media release.